"The album he has made is unique , normally I aspect a vocal voice in it. Only in this case it is not necessary, because I can enjoy this guitar work hours and days without a voice in it, good quality piece of music"
Steve Salter created the Gleaming record with the idea that the guitar can "sing" songs in its own voice, without the album becoming a shred-fest of technical skills against backing tracks. With so much music being defined and judged largely by lyrical content, Gleaming strips away words and their meanings to leave just the music as the emotional vehicle. Steve Salter started as saxophonist in grade school. As a high school Junior, Steve toured the Eastern US and Europe with "America's Youth in Concert" as a first chair alto saxophonist. Included were performances at Carnegie Hall and Royal Albert Hall. He continued saxophone studies at the University level and then,at age 18, began playing the guitar, studying with Vincent Bredice. 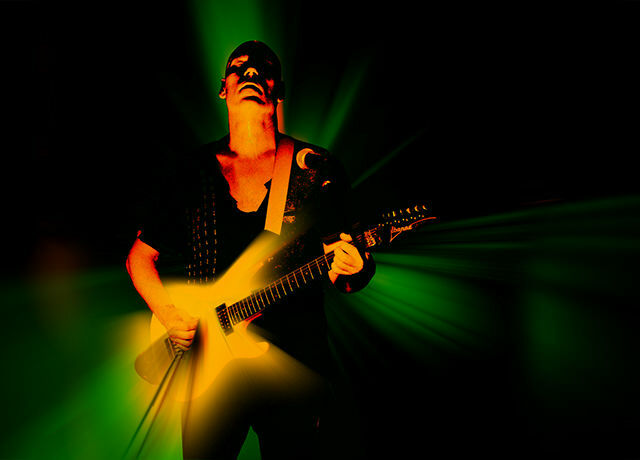 Salter includes many guitar greats such as Joe Satriani and Steve Vai as influences, but his unique guitar style is also influenced by the early years of training and continued playing on the saxophone. He regularly performs as lead guitarist with CYBIL & THE BEAST, a high powered performance rock act in SE Michigan.